How can we allow platypuses to drown for a few yabbies? WARNING, contains graphic and potentially disturbing images. The thought of any animal trapped underwater, slowly drowning while it frantically searches for an escape is horrific. Knowing that we allow this to happen to one of our most iconic and unique species, the platypus, for the sake of a few yabbies, is simply disgraceful. And yet this is what happens every year with people using enclosed yabby traps (i.e. opera house nets, drum nets etc.) and other type of enclosed nets in our waterways. These nets trap indiscriminately and frequently drown platypuses (as well as other air breathing animals such as rakali and turtles) and the current regulations clearly don’t prevent this. 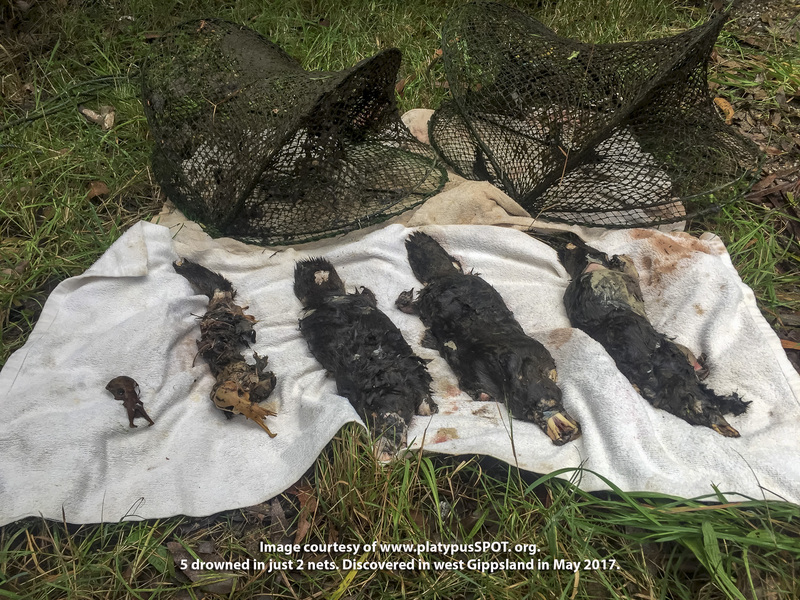 This was graphically and horribly illustrated earlier this year by the death of five platypuses in just two opera house nets in west Gippsland in May (ABC on-line). Images below. Also, platypuses are now listed as “near threatened” under the IUCN, so anything that puts them at risk should be banned. As platypuses can be quite elusive and mainly active at night, not observing one in your local waterway certainly does not mean they are not present. Platypuses inhabit many large and small waterways throughout Victoria and long term residents are sometimes quite surprised when they are told they have some platypus neighbours. For someone unfamiliar with the waterway, it is virtually impossible to tell if platypuses are present. Platypuses are regularly found in farm dams. In fact, some on-stream dams can provide excellent foraging habitat for them. They can also travel across land to reach off-stream dams or travel along drainage channels after rainfall. So regulations allowing use of these indiscriminate death traps in private dams do not prevent platypuses being drowned. Platypuses are mammals like us. They only have a few minutes of air when diving and if they are frantically searching for a way out of a trap, they will use this up even quicker. Checking nets regularly will not prevent their drowning. Yes, and that’s part of the problem. While most responsible stores will inform customers of the regulations and risks, many don’t. These nets are also available in large fishing and outdoor stores or online, where no staff are available to share this information. 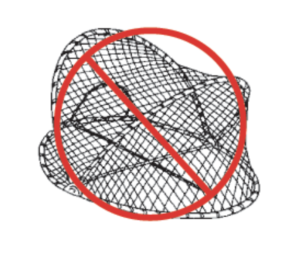 The problem is compounded by the fact that many nets sold have little or no labeling. Information on the use of equipment in inland (freshwater) water is available on the Victorian Fisheries Authority web page link here. Well if you have read this far, the great news is, now you do, and you can share this information so others know. Using them illegally can carry large fines and prison sentences (some details here). 6) “I’m unsure of the difference between an enclosed yabby trap such as an opera house net, and a hoop or drop net net”. 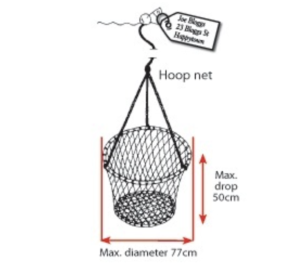 Victorian Fisheries Authority web page has good information which is available here, however a couple of images from their web site showing an enclosed trap known as an opera house net, and a hoop net, shows the difference pretty well. We’re sure that most people would be absolutely devastated to be responsible for the death of a platypus. How terrible would it be to pull out a net with your kids and find a drowned platypus in it? Or two? So what to do? 1) We want owners/users to immediately stop using enclosed yabby traps and switch to the safer alternatives such as hoop or drop nets. 2) We’d like to see retailers acknowledge the problem, show some corporate responsibility, and simply stop selling enclosed yabby traps (such as opera house nets) immediately. Wouldn’t it be great if they considered a product recall or implemented an in-store discount/swap out scheme for safer nets? 3) We’d like legislation and regulations in Victoria to be changed so the sale, ownership and use of enclosed yabby nets in any waterway is prohibited. There are platypus-friendly alternatives that are virtually just as effective, such as hoop or drop nets. Contact your local or state politicians, and very politely ask them to support a change in regulations which ban the sale, ownership and use of enclosed yabby traps, and explain why. Many people are simply unaware of the regulations (i.e. not to be used in Victorian public waterways) or about the risks that these nets pose (i.e. they drown air breathing animals), so please pass this information on. If you find an enclosed yabby trap being used illegally (or any traps being used illegally for that matter – current fisheries regulations are available here), immediately report this to the relevant authorities. In Victoria you can call 13FISH any time of the day, or DELWP on 136186 during business hours. – Talk to those who sell them. If you go into a fishing/outdoor store, ask if they sell enclosed yabby traps such as opera house nets, and if the answer is yes, explain the issue to them and then ask them if there is a good reason they won’t stop? To find out who sells them, just google the words “opera house net buy” and you’ll get a good idea. If you are ever lucky enough to see a platypus in the wild, please register the sighting using the platypusSPOT app available here. The more we know about their distribution the better. What are we (and others) doing? – In Victoria, a concerned group have been established (the Victorian Alliance for Platypus-Safe Yabby Traps), and we are working really hard with relevant government authorities and like minded organisations to try and get the use of enclosed yabby traps in all waters banned, as well as raise awareness around the issue. We think the answer has to be a resounding NO, and call on all people who use them to stop, all retailers who sell them to stop, and all the relevant authorities with the power to do something, to change the regulations. PS. 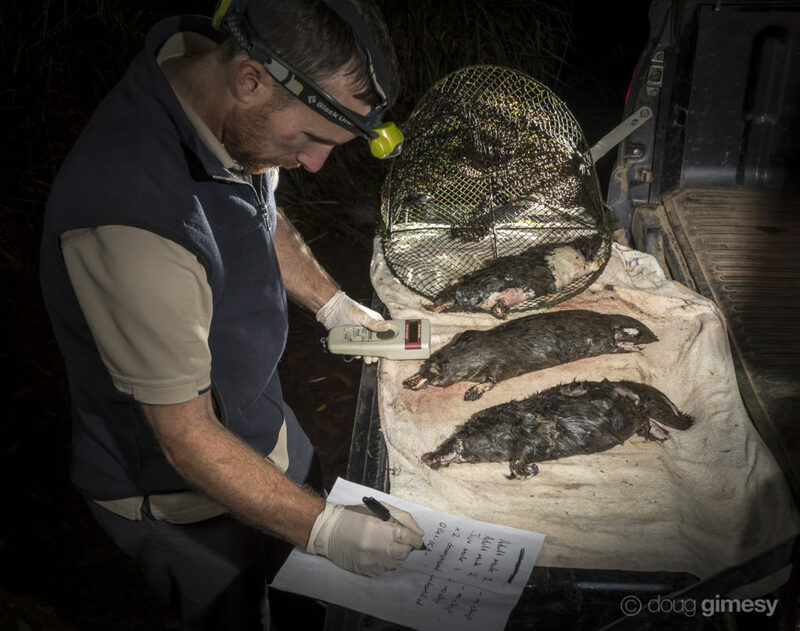 If you’d like to read more about platypuses, a piece recently in Australian Geographic is available by clicking the link here. Disclaimer: Please check with your relevant authorities for local legislation regarding net/trap use etc. The information in this blog is presented in good faith, but things change, and lets be candid, we’re scientists and conservation photographers who care, not lawyers.